We reserve the right to modify these Terms of Service at any time, in which case the revised Terms of Service will appear on the Site. Continued use of the Site after we post any such changes will constitute your acceptance of the Terms of Service, as modified. (A) WFPB.ORG’s Limited License to You. This Site and all the materials contained on it are our property and/or the property of our affiliates or licensors, and are protected by copyright, trademark, and other intellectual property laws. We provide the Site for personal noncommercial use only. You may only use this Site and the materials on it as authorized by us. You may not use this Site or the materials on it in any manner that violates the privacy rights, publicity rights, copyrights, trademark rights, patent rights, contract rights, or any other rights belonging to us or a third party. We reserve the right, at any time and without notice, to suspend, cancel, or terminate your right to use the Site (or any portion of the Site) for violation (whether repeated or not) of copyrights or any other rights belonging to us or a third party. Unless authorized in these Terms of Service or by the owner of the materials, you may not modify, copy, reproduce, republish, upload, post, transmit, translate, sell, create derivative works, exploit, or distribute in any manner or medium (including by e-mail or other electronic means) any material from the Site. Information about permission to reproduce or distribute materials from the Site can be obtained by contacting us here. (B) Your License to WFPB.ORG. By posting or submitting any material (including, without limitation, text, photos, and videos) to the Site, you represent and warrant: (i) that you are the owner of the material, or that the owner of the material has consented to your use; and (ii) that you are 13 years old or older. You will be solely responsible for any damages resulting from any infringement of copyrights, proprietary rights, or any other harm resulting from any uploading, posting, or submission. (C) Notice of Copyright Infringement. If you are a copyright owner who believes your copyrighted material has been reproduced, posted, or distributed via the Site in a manner that constitutes copyright infringement, please report the violation to our designated copyright agent by sending written notice by U.S. Mail to WFPB.ORG, PO Box 550551, Fort Lauderdale FL 33355, Attn: WFPB.ORG Brand Protection, or by email to WFPB.ORG’s Brand Protection. Please note that the contact information provided in this paragraph should only be used for reporting suspected copyright infringement. Contact information for other matters is provided elsewhere in these Terms of Service or on the Site. (D) Restrictions on Linking and Framing. 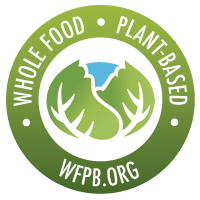 You may establish a hypertext link to the Site, provided that the link does not state or imply any sponsorship of your site by WFPB.ORG. 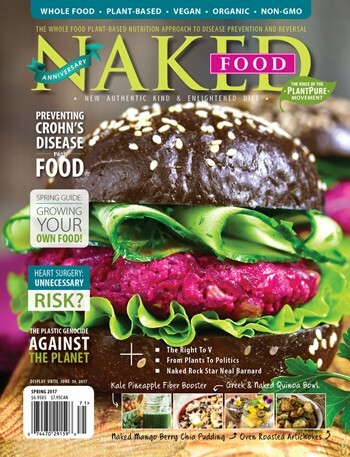 However, you may not frame or inline link to any of the content of the Site, or incorporate into another Web site or other service any of our material or intellectual property without the written permission of WFPB.ORG. We shall have the right, but no obligation, to monitor the content of the message boards or other Interactive Features to determine compliance with this Agreement and any other operating rules we establish. We shall have the right in our sole discretion to edit, refuse to post, or remove any material submitted to or posted on the message boards or other Interactive Features of the Site. Notwithstanding this right, users shall remain solely responsible for the content of their messages. We neither endorse nor are responsible for the accuracy or reliability of any opinion, advice, or statement on the message boards or other Interactive Features of the Site, whether it is provided by us, our employees, or a third party. Under no circumstances will we be liable for any loss or damage of any kind caused by reliance on information obtained through postings on the message boards or other Interactive Features of the Site. We are not responsible for any offensive, defamatory, or obscene posting made on the message boards or other Interactive Features of the Site. We reserve the right at all times to disclose any information we believe necessary to satisfy any law, regulation, or governmental request, or to refuse to post or to remove any information or materials, in whole or in part, that in our sole discretion are inappropriate, objectionable or in violation of these Terms of Service. We also reserve the right to deny access to the Site or any features of the Site to anyone who violates these Terms of Service, or who, in our sole judgment, interferes with the ability of others to enjoy our Web site or infringes the rights of others. Neither we nor any third-party content provider shall assume or have any liability for any action or inaction by us or any third-party content provider with respect to any conduct, communication, or posting on the message boards or other Interactive Features of the Site. You may need a username and password to use certain features of the Site. By registering on the Site, you agree that you will not (i) select or use a username or e-mail address of another person with the intent to impersonate that person; (ii) use a username or e-mail address subject to the rights of any person without authorization; (iii) use a username in violation of the intellectual property rights of any person; or (iv) use a username that we, in our sole discretion, deem inappropriate or offensive. You are responsible for maintaining the confidentiality of the password and account, and are responsible for all activities (whether by you or by others) that occur under your password or account. You will notify us immediately of any unauthorized use of your password or account or any other breach of security. We assume no liability for any loss or damage arising from any unauthorized use of your password or account by a third party. The information contained in any directories that may be provided on the Site is provided for visitor information only and is not to be used for marketing or telemarketing applications. This information may not be copied or redistributed and is provided “AS IS” without warranty of any kind. Neither we, nor our suppliers, will be liable in any way with regard to such information. THE INFORMATION, PRODUCTS AND SERVICES OFFERED ON OR THROUGH THE SITE ARE PROVIDED “AS IS” AND WITHOUT WARRANTIES OF ANY KIND EITHER EXPRESS OR IMPLIED. TO THE FULLEST EXTENT PERMISSIBLE PURSUANT TO APPLICABLE LAW, WE DISCLAIM ALL WARRANTIES, EXPRESS OR IMPLIED, INCLUDING, BUT NOT LIMITED TO, IMPLIED WARRANTIES OF MERCHANTABILITY AND FITNESS FOR A PARTICULAR PURPOSE. WE DO NOT WARRANT THAT THE SITE OR ANY OF ITS FUNCTIONS WILL BE UNINTERRUPTED OR ERROR FREE, THAT DEFECTS WILL BE CORRECTED, OR THAT ANY PART OF THIS SITE, INCLUDING MESSAGE BOARDS, OR THE SERVERS THAT MAKE THE SITE AVAILABLE, ARE FREE OF VIRUSES OR OTHER HARMFUL COMPONENTS. WE EXPRESSLY DISCLAIM LIABILITY FOR ANY DAMAGES OR INJURY CAUSED BY ANY FAILURE OF PERFORMANCE, ERROR, OMISSION, INTERRUPTION, DELETION, DEFECT, DELAY IN OPERATION OR TRANSMISSION, COMPUTER VIRUS, COMMUNICATION LINE FAILURE, THEFT OR DESTRUCTION OR UNAUTHORIZED ACCESS TO, ALTERATION OF, OR USE OF RECORD, WHETHER FOR BREACH OF CONTRACT, TORTIOUS BEHAVIOR, NEGLIGENCE, OR UNDER ANY OTHER CAUSE OF ACTION. EACH USER SPECIFICALLY ACKNOWLEDGES THAT WE ARE NOT LIABLE FOR THE DEFAMATORY, OFFENSIVE OR ILLEGAL CONDUCT OF OTHER THIRD PARTIES, SUBSCRIBERS, MEMBERS OR OTHER USERS OF THE MESSAGE BOARDS AND THAT THE RISK OF INJURY FROM THE FOREGOING RESTS ENTIRELY WITH EACH USER. WE DO NOT MAKE ANY REPRESENTATIONS OR WARRANTIES ABOUT THE CORRECTNESS, ACCURACY, TIMELINESS, OR RELIABILITY OF THIS SITE OR THIRD-PARTY SITES. USE OF ANY INFORMATION ON THE SITE OR THIRD-PARTY SITES IS AT THE USER’S OWN RISK. UNDER NO CIRCUMSTANCES WILL WE BE LIABLE FOR ANY LOSS OR DAMAGE CAUSED BY RELIANCE ON INFORMATION OBTAINED THROUGH THE SITE. 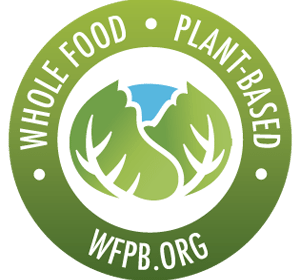 WFPB.ORG is a nonprofit, nonpartisan organization 501(c)3 non-profit organization that empowers sustainable health for humans and planet through a plant-based lifestyle. IF YOU ARE DISSATISFIED WITH THE SITE, ANY MATERIALS, PRODUCTS, OR SERVICES ON THE SITE, OR WITH ANY OF THE SITE’S TERMS AND CONDITIONS, YOUR SOLE AND EXCLUSIVE REMEDY IS TO DISCONTINUE USING THE SITE.